The island is the second largest in the Adriatic, covering 155 square miles, and is long and spindly in shape. 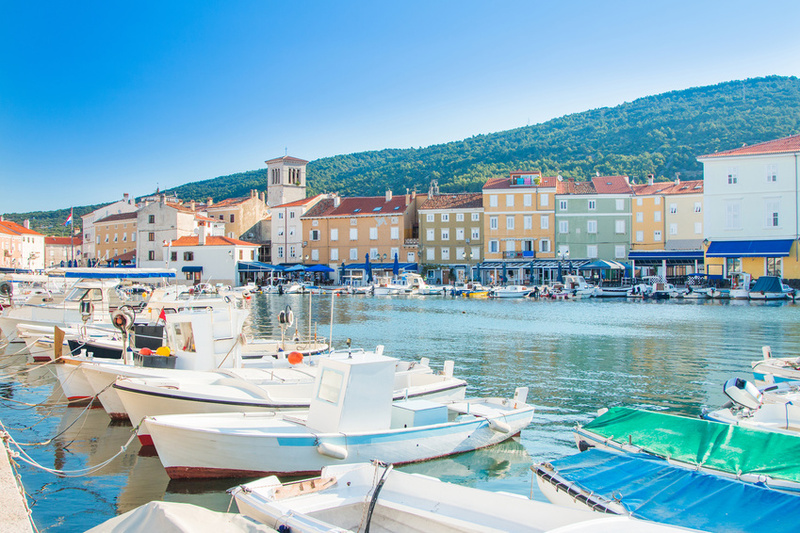 The main resort is Cres Town, which reminds many of an Italian village due to previous Venetian rule, and much of the town dates from the 15th and 16th centuries. The main sights in Cres Town are the town walls and the Venetian Tower; the Church of St Mary, and the Municipal Loggia, both of which date from the 15th century. Other places to visit on the island include Beli – one of the oldest places on the island, and home to the griffon vulture colony (see below). Valun is a small village that is famous for the Valun Tablet from the 11th century; originally a gravestone, the tablet is inscribed in both Latin and old Croatian and marks the presence of the descdents of Romans on the island alongside Croatian families. Close to Valun is Lubenice, which was once a fort city. Today just a(nother) tiny village, it now features a collection of old stone houses. Martinscica, located on a bay and named after the Church of St Martin, is further south on the western side of the island. There are two hotels on the island – the 3-star Hotel Kimen in Cres town and the 3-star Hotel Zlatni Lav in Martinscica. Private accommodation can also be found in various locations on the island – see our Accommodation on Cres section for more details. Famously, there are colonies of the Eurasian Griffon vulture near Beli, to the north of the island. Conservation of the birds lies with the Eco Centar Caput Insulae – see their website for more details.